Do please follow us on Twitter and LinkedIn for updates on new opportunities. We are also happy to talk to potential associates and partners. Please contact us with relevant details. Please visit the website of the New Economics Foundation for details of opportunities within the Foundation. NEF Consulting is a social enterprise with a reputation for high quality socio-economic research, training, capacity building and consultancy. The consultancy arm of the leading UK think tank, New Economics Foundation, we help organisations in their transition to a new, sustainable and socially-inclusive economy, across the UK and internationally. To work with us, you will be passionate about social change and sharing NEF Consulting’s aims and values, and will have an interest in helping others to see the links between social, economic and environmental issues. A range of benefits including 25 days holiday, free gym membership, contributory pension, cycle-to-work scheme and Employee Assistance Programme. One-to-one support, mentoring and training to develop your skillset and career within NEF Consulting. Dedicated training on core NEF Consulting methodologies. Access to a vast body of knowledge, skills and resources through NEF and partner organisation networks. Exposure to senior clients, industry stakeholders and thought leaders. For enquiries about any vacancies email recruitment@neweconomics.org or call 0207 820 6300. See below for a full job description. Benefits include 25 days holiday, free gym membership, contributory pension or savings scheme, cycle-to-work scheme and Employee Assistance Programme. Interviews: 28 March 2019 – there will be in-office exercise. Please download and complete both the Application Form and Equal Opportunities Form, returning them to recruitment@neweconomics.org . We cannot accept CVs for this role. NEF Consulting uses the recruitment services of the New Economics Foundation in full compliance with current data protection law. Design, manage and deliver socio-economic impact research and consultancy projects across a range of NEF Consulting product areas: evaluation and impact assessment, training and capacity building and strategy and culture change. Develop and secure new business opportunities for NEF Consulting in partnership with other members of the team. Represent the consultancy publicly at speaking engagements and clearly communicate new economics principles and research. Support the development of our research and tools for public and private sector markets. 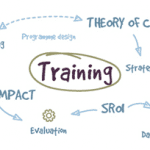 Provide training to small groups in evaluation and impact assessment tools and methodologies, as required. Minimum two years client facing consultancy or research experience. Economics, social science and/or sustainability background. Excellent written and verbal communication skills and the ability to communicate complex ideas to non-specialist audiences. High level of numeracy and the ability to understand complex datasets. Experience of delivering high quality outputs through team working. Business development experience: writing and winning bids, tenders and proposals. Proven track record in working in a fast-paced environment and against tight deadlines. Experience of delivering training and/or facilitating workshops. Minimum second class honours degree. Highly proficient in use of Excel or other statistics packages e.g. SPSS. Experience of group facilitation / presentations. Both a strong team player and self-starter who enjoys taking initiative. Comfortable working with minimal direction. Able to think analytically and creatively. 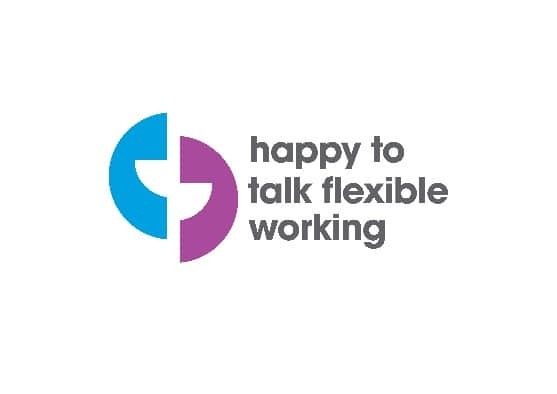 Comfortable working across multiple projects, responding quickly to change and balancing rigour with practical solutions to meet tight deadlines. Keen to apply and develop your research (primary and secondary) and presentation skills and, over time, acquire additional skills fundamental to work as a consultant (e.g. project / bid management). Able to form strong working relationships with people from diverse backgrounds. Able to tailor your communication style to explain complex ideas to a range of (non-specialist) audiences. Easy going and able to have a laugh in the office! One-to-one support, mentoring and training to develop your research and consulting skillset and career within NEF Consulting. Dedicated training on core NEF Consulting methodologies such as Social Return on Investment (SROI) and Local Multiplier 3 (LM3). NEF Consulting uses the New Economics Foundation to manage its recruitment in compliance with the current data protection law. We recognise that people have commitments and responsibilities outside of work, therefore NEF Consulting and the New Economics Foundation support flexible working. We are an equal opportunities employer and welcome applications from all persons regardless of their race, gender, disability, religion/belief, sexual orientation or age. Appointment will be based on merit alone.